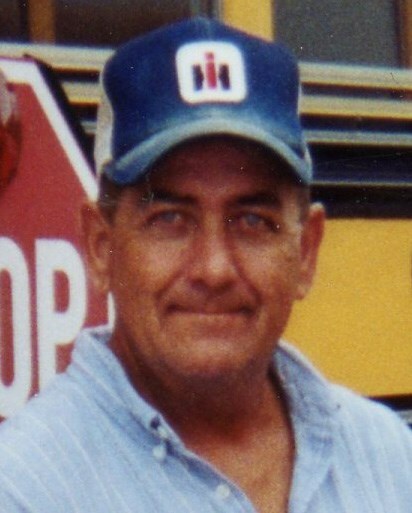 Mr. Larry Joe Ferguson, 63, of Johnson City, passed away Saturday, December 17, 2016, surrounded by his family. Joe was a lifelong resident of Washington County, TN. He was the son of the late Clifford H. Ferguson and Ruth ?Biddie" Britt Ferguson, of Jonesborough, TN. Joe proudly served in the US Army Reserves for six years. He drove for several different trucking companies and drove a bus for Washington County for 20 years. Joe had been a member of Gregg Chapel Church for many years and believed strongly in the Lord. In addition to his parents, he was preceded in death by his sister, Peggy Ferguson, of Charlotte, NC, and niece, Theresa Ferguson, of Newark, NJ. He is survived by: his sisters, Phyllis Ferguson, Brenda Ferguson, and Tracey Britt; brothers, Ricky Ferguson and Robin Britt, all of Johnson City; and several nieces, nephews, cousins, special friends, and co-workers. The family of Larry Joe Ferguson will receive friends from 12 pm to 1 pm Wednesday, December 21, 2016 at Morris-Baker Funeral Home. Following the visitation, a brief committal service will be held in the Morris-Baker Chapel. Charlie Byrd and Roy Ferguson and Pastor Tony Trott will officiate. The family would like to extend a special thank you for all the support they received during this time. A very special thank you goes to the hospice nurses that helped care for Joe. Brenda, We are so sadness for the loss of Joe! Please let us know if you need anything! Our thoughts and prayers are with you all! I am sorry to hear about the death of your brother Prayers for all of you. So sorry to hear about Joe’s passing.. I was sitting here thinking about some of the things we did back when we were younger..and had to chuckle..Brenda Rick and rest of the family t c ! So sorry to hear of Joes death. He was a good friend.My prayers are with the family.